The English Department liaises closely with Mrs Roth, the Librarian, to promote reading. Additionally, the English Department also encourages wider reading at every opportunity. A recommended reading list is sent out to Year 6 pupils before they arrive at St. Aidan’s which they can start over the summer holiday before the new term and then continue at regular intervals in their English lessons through KS3. 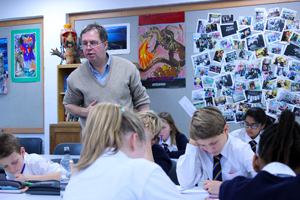 Year 7 experience a Library induction programme in their English lessons. These are based in the Library at regular intervals. The aim is to promote the enjoyment of reading but also to teach reading skills and familiarise students with the procedures, systems and resources available in the Library. 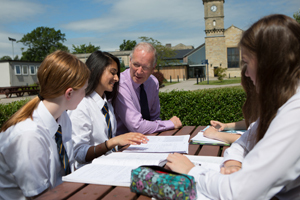 Library induction sessions for KS4 and A Level students are also organised not only to promote reading, but also to show them where they can find texts appropriate to the courses they have chosen to study.